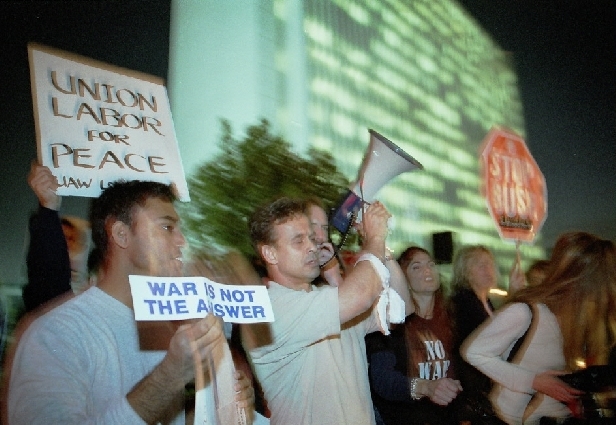 January 29th ’03 One day after pResident Bush’s SOU speech an energized group of around 600 to 800 gather at the Federal Building in Los Angeles. Organized by the numerous peace groups, the message to the world was “Healthcare not Warfare”, “No Blood for Oil” and a resounding we’re not taken no war! Motorist instead of being pissed off for the added traffic delay were standing on their horns in support. A Nation Divided, as more people demand peace, the tide begins to turn. Activist Stand in Defiance as the Feds Rush to War. 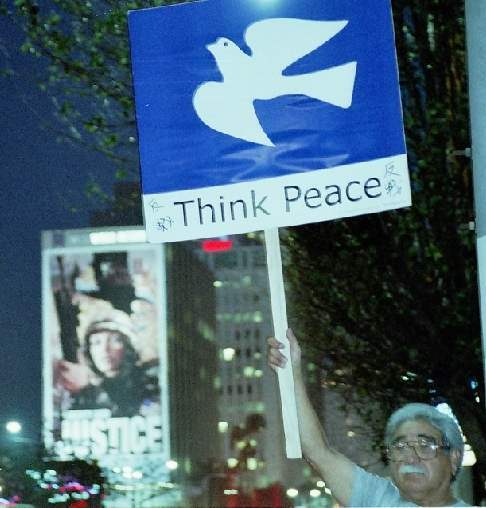 Local governments and unions side with peace. Listed below are the 10 latest comments of 12 posted about this article.